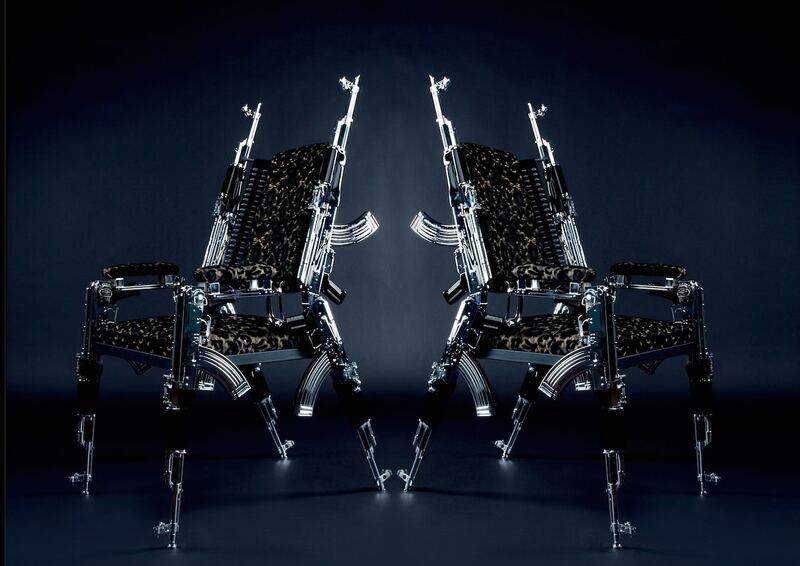 No you’re not dreaming, there are true Kalashnikov on this chair. 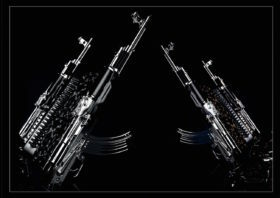 More precisely, pre-used AK47 riffles dismantled and rebuilt in surprising design elements. 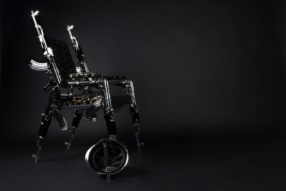 The artist Rainer Weber, born in Vienna, is the author of this incredible chair. 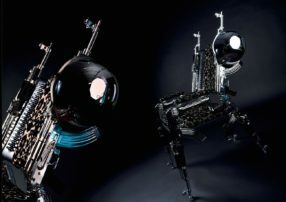 Passionate by design since his childhood, and more particularly by all kind of seating furniture, Rainer Weber wished to create a piece of art that people has never seen, and that will seduce all collectors. 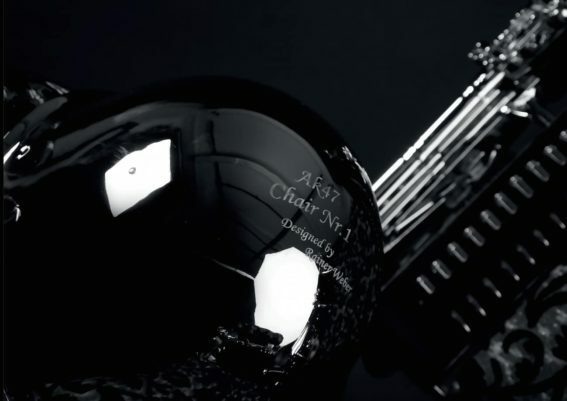 Then the AK47 Chair was born. 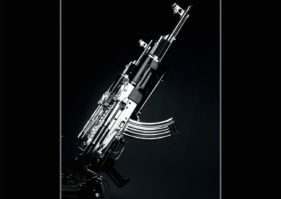 While reading a book written by Michail Kalashnikov, Rainer had the idea to build his AK47 Chair with 6 real AK47 riffles. After finding them then dismantled them, he scattered the pieces to form the arms, the legs and the back of this absolutely unique chair. 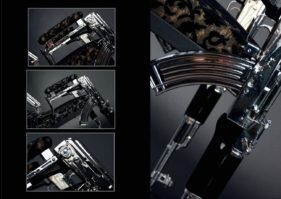 AK47 Chair’s structure and many other components from the different Kalashnikov were entirely chrome-plated before being reunited, for a truly contemporary finish. As for the pistol grips that were only found in synthetic materials they were kept in their original condition but varnished in black, as the wooden stocks. While ordering one AK47 Chair, you can also order a Russian steel helmet that was also chrome-plated with a leather-coated interior. 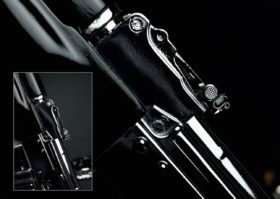 Additionally the gun barrels on the chair have also been leather-coated. Don’t worry, this AK47 Chair is absolutely safe except for its dangerous style that would surely seduce all Russian mafia’s grand patron. If you are a true design chair lover, you can choose to order the chair in a different shape or colour, upon request. 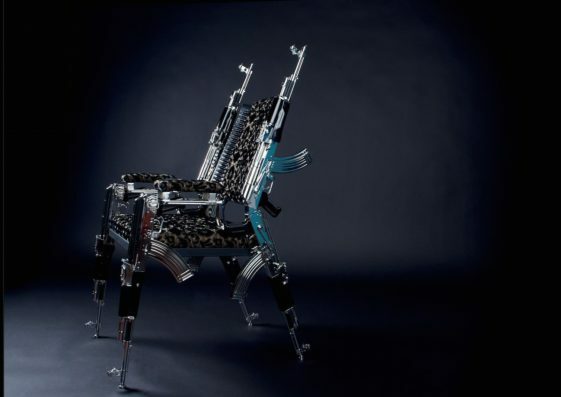 Share the post "AK47 Chair: a one-of-a-kind chair that Tony Montana should have in his house"